This post is sponsored by Highlights for Children but all opinions are my own. When I think back on my nearly 20 years of education (no seriously), I think “woah that’s a long time.” But there is also a small part of me that misses school, learning and the constant reading that went along with it. I know, I sound like a nerd. But I think reading is so fundamental to learning and I don’t do nearly enough of it now that I’m a parent. Maybe that’s why I enjoy reading to and with the boys so much. 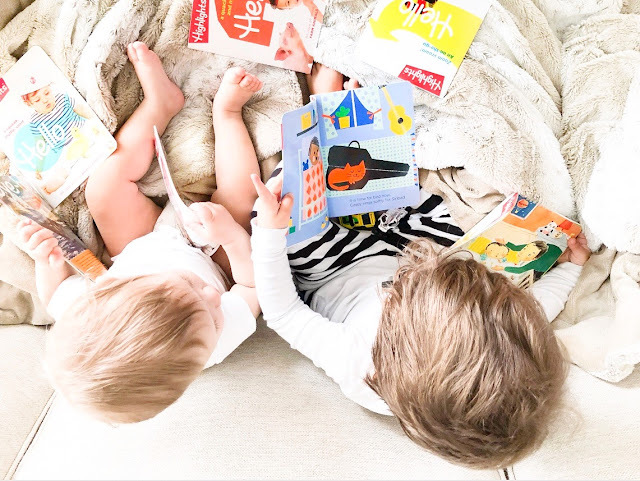 Reading is one of my favorite activities to do with the boys. 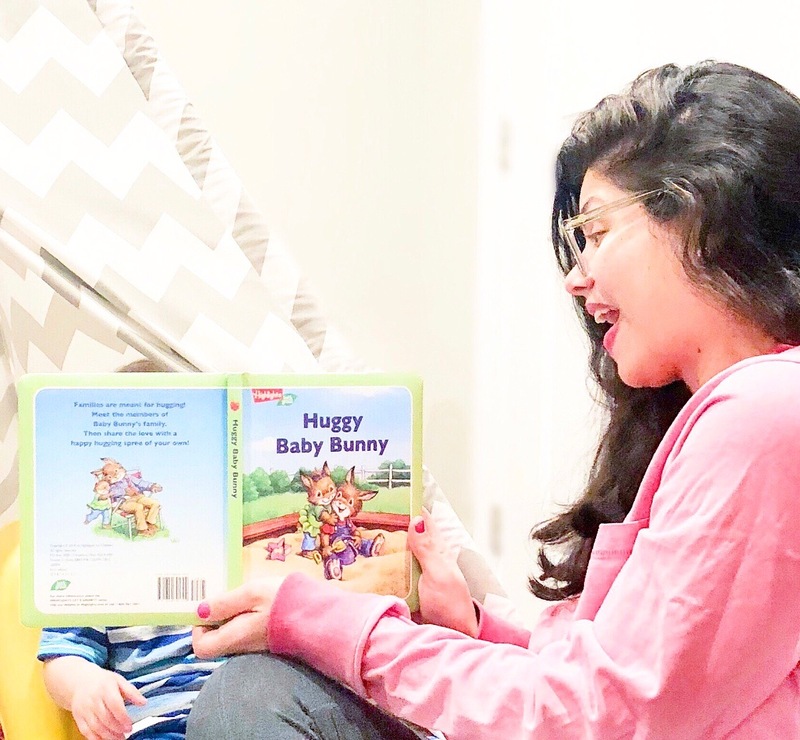 I started reading to my toddler when I was pregnant with him. And now, I try to fit in a book every chance we get. 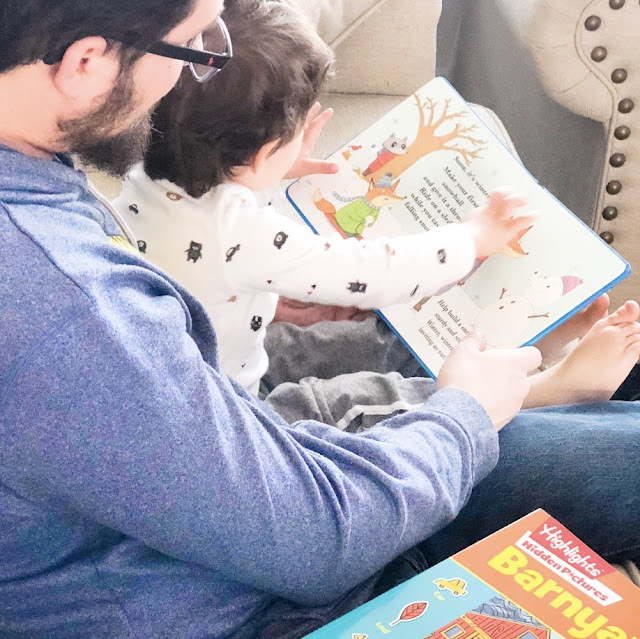 Our nightly bedtime routine with our toddler definitely changed once we brought home our baby. But I’ve realized we don’t need to read to the boys only at bedtime nor should we. We can read to them whenever and wherever! I’m excited to have received Highlights Hello magazines. We’ve already read a few, and my toddler really liked the one about travel, which is fitting because we’re going away soon. I’ll definitely be packing a few for the plane rides! Lucky for you, I’ve partnered with Highlight for a giveaway. Head to my Instagram post to enter!